« What happened to System Attendant Mailbox in Exchange 2010? 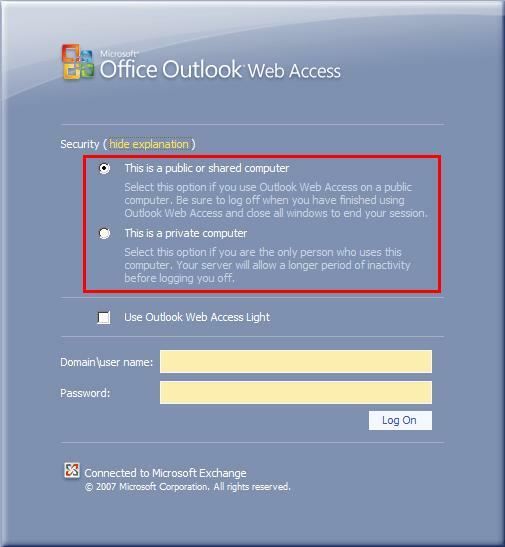 Though this feature is good for security reasons it may be annoying for many users who use OWA regularly and they may not want to enter the password several times after the time out. This can settled down with a simple registry tweak on the CAS box that runs your Internet facing OWA site. This can be done by following registry modification. If you don’t see the DWORD values named, PublicTimeout and PrivateTimeout then you have create then manually. This entry was posted on 22/10/2009 at 8:06 PM	and is filed under CAS, Exchange Server 2007. You can follow any responses to this entry through the RSS 2.0 feed. Both comments and pings are currently closed. Are the defaults built-in and not listed in the registry? On Exchange 2007, I see the branch mentioned here, although it is “MSExchange OWA” with a space instead of no space. The branch does not have the values indicated. I’m assuming you add the values (name & value) in to override the defaults? Sorry for the delayed response. It was a typo. Thanks for bringing it to notice. I have corrected it now. Also, to answer your second question, Yes, you need to create the values to override the defaults.